Doing well in SEO requires too many things to work well together. One of the most important things that make the SEO benefits tick is Guest Blogging which is the latest trend. As the name suggests, guest blogging is the act of posting your work in someone else’s website/blog. This point lies at the centre of the benefits that guest blogging offers. When you start posting on other blogs you are exposed to a new readership and at the same time, you will notice that the reach of your brand expands. The feedback you get from these new readers might help your overall blogging style. In addition, on the technical side, you get a back link to your website. It won’t take a lot of explanation to grasp how backlinks to your website would help your search ranks. It’s a symbiotic relationship. The blog in which you post as a guest author, also gets bumped up because of the back link that you may provide by advertising the post on various social media outlets. Guest blogging will diversify your readership base and in turn will help you discover business opportunities, which you would not have known, existed because of limited readership. But, if done in haste, you may find an awkward inclusion being backfired. If you are an experienced blogger with even a gamut of reputation, you may receive plenty of unsolicited requests to guest blog. DO NOT BLOG ANYWHERE. The key here is to understand that only relevant guest posts help the SEO. It is always the same rule: Content is the King. Moreover, the only way to make that work is by posting on the websites that are in your ‘blogosphere’. 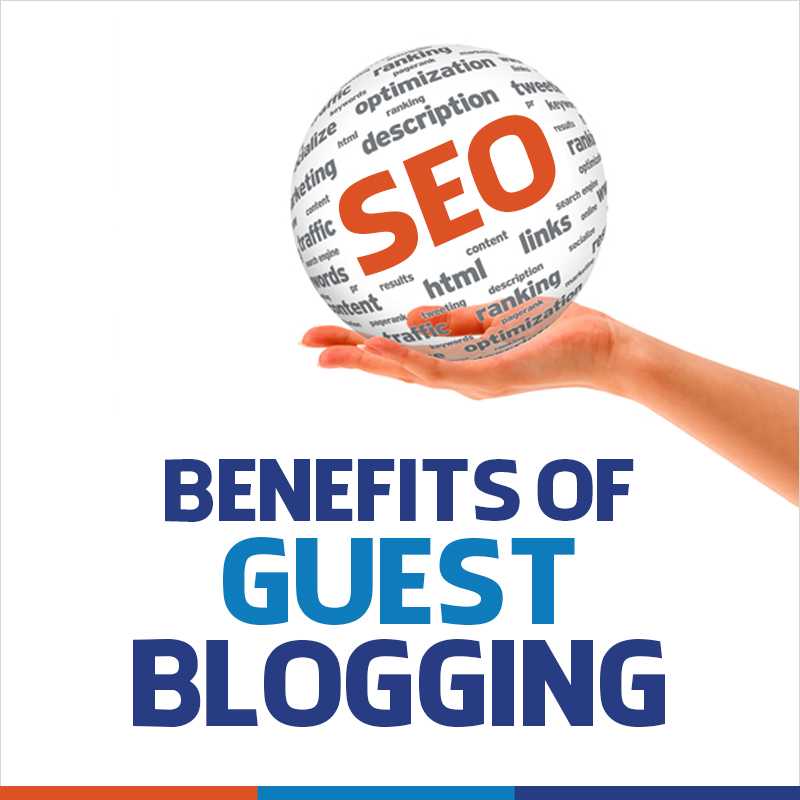 Guest blogging is a very important component of your SEO success. With the right guest posts, you may be able to convert many of the readers, who would not have otherwise read your work.